So, What's Marijuana Got to Do With It? 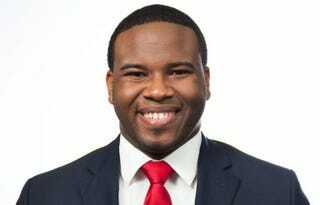 In a search affidavit that we apparently know all the contents of, we now know that the police apparently found some marijuana—about .37 ounces—in Botham Jean’s apartment after he was shot by Dallas police officer Amber Guyger. Marijuana, something the kids and olds use alike. Not sure what the marijuana did in Botham Jean’s death. Did it grow several feet, develop opposable thumbs, grab Guyger’s firearm and pull the trigger? Or was it just some stuff found in the apartment along with other things you’d find in an apartment? Botham Jean’s family attorney S. Lee Merritt has been understandably livid about the police bringing up this small amount of weed in order to smear the dead. The search “highlights just sort of the nefarious nature of their investigation,” said Lee Merritt, an attorney for Jean’s family. Merritt learned of the latest search warrant details shortly after Jean’s funeral Thursday. Upon hearing about this, the first thoughts I had were flashbacks back to Michael Brown, the 18-year-old killed by Ferguson, Mo. officer Darren Wilson, who was accused of having marijuana in his system shortly after his death, as if the drug would explain why he ended up in a struggle for his life with Wilson back in 2014. The second thought was from Dave Chappelle “joking” about the police sprinkling a little crack on somebody, as a little crack would be all the excuse any officer would need to do whatever they did to a black person. Then there was this story about Sandra Bland, found dead in a police cell in 2015, and the marijuana that was magically, allegedly ingested by her while in jail. Then I thought, we could all be paranoid, or they could actually be out to get us. Then I thought of how I’m writing about marijuana found in someone’s apartment who was shot to death by a woman who, allegedly, thought an apartment that was not her apartment was her apartment, and either was let it in or broke in and shot Botham Jean, a man who was just in his apartment minding his own business, proving that to be black in America means you’re not even safe in your own home from police violence. But they found marijuana. A drug black people don’t use any more than white people, but it’s black people who are over-policed for it. It’s black people, when they’re killed by police, who are suddenly characters out of Reefer Madness. Marijuana, the explain-all drug for why you got shot by the police. Marijuana, your go-to excuse when you really have to explain why you shot someone who posed you no threat. Marijuana, the (police’s) wonder drug.